Ole Gunnar Solskjaer's honeymoon period at Manchester United looks set to continue for a little bit longer following a fine Boxing Day triumph at Old Trafford. SCORE: 1-0, min. 28, Matić. 2-0, min. 64, Pogba. 3-0, min. 78, Pogba. 3-1, min. 88, Zanka. Manchester United continued their dream start to life under Ole Gunnar Solskjær at Old Trafford on Boxing Day, beating relegation-doomed Huddersfield Town 3-1. Nemanja Matic tapped in from close-range in the first-half to reduce the pressure Huddersfield were applying early on before Paul Pogba netted two fine finishes after the break to secure another valuable three points. David de Gea was starved of another clean sheet though, as Mathias 'Zanka' Jorgensen got on the end of a late corner to give the noisy visiting fans something to cheer about. You couldn’t help but produce goosebumps at the roaring reception the Old Trafford crowd gave the returning Ole Gunnar Solskjær. The interim manager was lauded as a ‘legend’ by the PA man whilst making that anticipated walk out of the tunnel before kick-off, and it’d be hard to argue with that description. Solskjær handed a rare start to Fred, who hasn’t quite found his feet in England yet, and he didn’t make the best of starts here. His poor pass was picked up by Isaac Mbenza in the United half before toe-poking an even worse effort over the crossbar. Huddersfield’s early pressing wasn’t making it easy for United to play, and the visitors really should have gone ahead on 12 minutes. Terrence Kongolo found himself unmarked following two flick-ons from a corner but blazed his shot over the crossbar from six yards out. The hosts started to show signs of danger with their vast possession minutes later though, with Fred switching the ball to Juan Mata on the left flank and the Spaniard’s cross only just evading the head of Marcus Rashford. Lingard tried his luck from range shortly afterwards, but his fierce strike was straight at Jonas Lössl. Just before the half-hour mark, United found the first-half breakthrough they truly needed through an unlikely source, Nemanja Matić. Victor Lindelöf’s header from a corner was saved well by Lössl, but Matić was in the right place at the right time to prod home at the back post. That was the Serb’s first goal for the club since that breath-taking winner at Crystal Palace back in March, 23 appearances ago. Chants of ‘Ole, Ole, Ole’ rang out from the stands and were directed at a visibly ecstatic Norwegian in the manager’s dugout. Diogo Dalot went immensely close to netting his first United goal with five minutes of the half left. Sensational skill from Rashford down the left set him free from two Huddersfield men before firing a low cross towards Dalot at the far side, but the 19-year-old right-back side-footed the ball agonisingly wide past the back post. The travelling supporters were still well up for this one following the break and were loving the end-to-end nature of the game as the second-half got underway. Alex Pritchard joined Laurent Depoitre up front as David Wagner reverted from a very defensive 5-4-1 to a… defensive 5-3-2. Depoitre, Mbenza and Elias Kachunga all took efforts on goal from promising positions following the restart before Solskjær had seen enough. It took less than 10 minutes for him to react to Huddersfield’s dominating start, as he introduced Ashley Young and Ander Herrera at the expense of Dalot and Fred. Wagner made a change of his own two minutes later as Chris Löwe came on for Kachunga before the visitors continued to get plenty of players forward with a surprising amount of confidence. Then, Depoitre forced an incredible De Gea save from the next bit of play. His clever flicked shot from a low corner made Spanish goalkeeper had to stretch across goal to claw the ball away from danger; a spectacle which got United fans off their seats for all the wrong reasons. 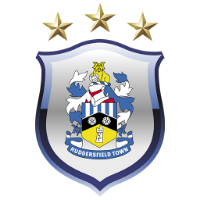 Huddersfield were ready to go for all 12 rounds on Boxing Day. Collin Quaner replaced Mbenza on 64 minutes to add a fresh face to the Terriers’ increasingly dangerous attacking presence, but the game was dead and buried less than a minute later by Paul Pogba. Two in two for United’s no. 6 under new management! A fancy bit of play down the right wing by Rashford led to the ball being played to Mata, who reached the by-line before cutting back for Herrera inside the box. The substitute picked out Pogba on the other side of the area and the Frenchman fired a precise finish into the near bottom corner. That goal seemed to give Solskjær’s men the confidence to push forward for a third, and Pogba struck again 10 minutes later to give the home side exactly that. The Huddersfield defence backed right off and he had all the time in the world to pick his place and aim a fantastic strike past Lössl from range. A few minutes later, with two wins on the bounce all-but secured, academy star Angel Gomes made his second Old Trafford bow, coming on for Juan Mata and receiving a rapturous ovation. From that point, United’s front four consisted of Pogba, Jesse Lingard, Gomes and Rashford. All academy products. Heritage. Amongst the party atmosphere circling the stadium, the home players took their eye off the ball from a Huddersfield corner and were made to pay. Mounié rose highest to flick a header towards goal and ‘Zanka’ had plenty of space to tap in. David de Gea’s Premier League clean sheet tally was to remain at two. It’s doubtful he’ll be dwelling on that too much though. 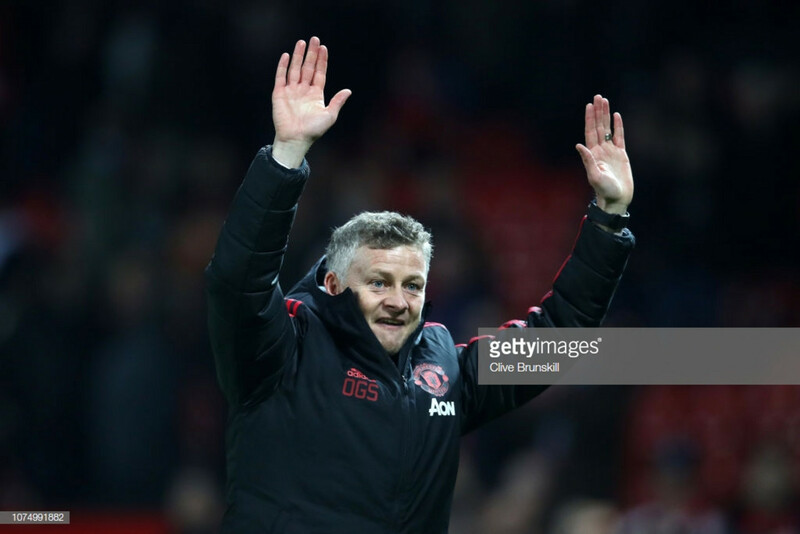 Boxing Day saw another confident win to kick-start the Solskjær era and put the Red Devils just five points within the Champions League places. The Frenchman has now contributed to five goals in Solskjær's first two games in charge, he had contributed to just three for the whole season before Jose Mourinho's sacking. His role as the most advanced midfielder seems to be working wonders with a more flexible tactical outlook and as long as he continues this form, United should be confident in climbing the table. One trait that David Wagner brings to his Huddersfield team is their ability to relentlessly press for long periods of time. United struggled to handle it for the first 25 minutes before breaking the deadlock, but once the first went in the game opened up a bit. The Terriers certainly don't have the best players in the league but proved today that they can be dangerous when the game plays into their favour. The gap to the top four now stands at five points, albeit with Arsenal and Chelsea still to play. United still have a small run of favourable league fixtures left before the Tottenham Hotspur game in January, but the manager and squad will be taking one game at a time with a huge second half of the season ahead.